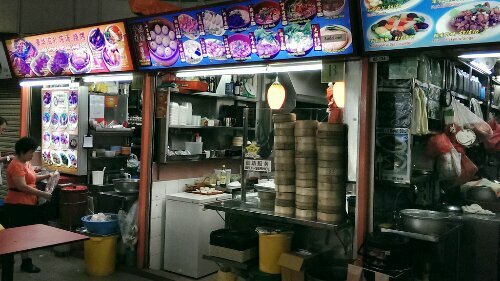 Dan Dan Mian | Get Your Grub On! 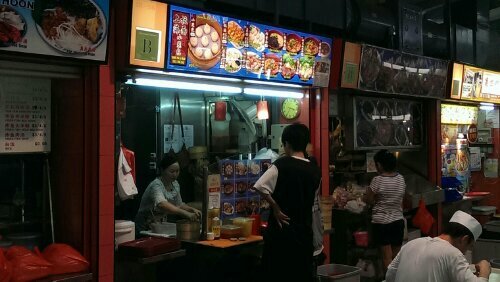 Oh man I missed this place and finally I made it back here on a day they were actually making their beautiful noodles. 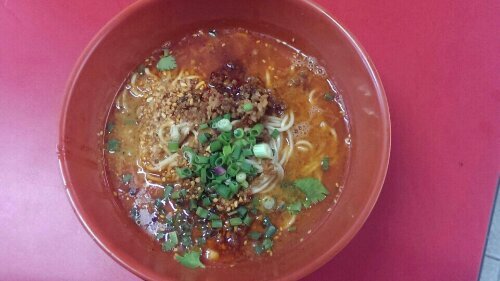 I was psyched and first up I had to have the ‘Dan Dan Mian‘ or ‘Spicy Sichuan Noodles‘ how it says on the board. The noodles were freshly handmade and nice and soft, maybe a bit too soft. The gravy was insane, just mildly spicy but enough to squeeze some drops of sweat out the back of my head, thick and rich and full of peanut sesame flavour. The savoury pork mince on top together with some crushed peanuts, fresh chives and cilantro finished the job just nicely. 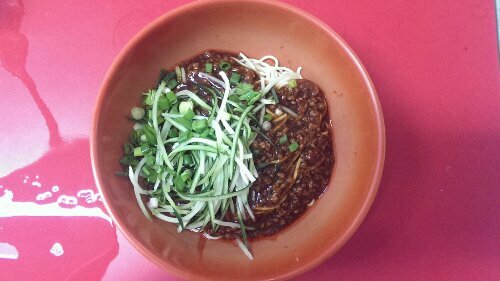 I was already pretty filled up but not finished just yet as I also wanted to finally try their ‘Zha Jiang Mian‘. The bowl was loaded with freshly thin shredded spring onion and cucumbers sitting on beautifully thick and gooey minced meat soya bean sauce that was lukewarm and made this a great dish for the tropical heat today. I know this all sounds like raving and exaggerating but I really think it’s that darn good, M. this one’s for you.